TimberCraft Metal Art outdoor fire pit and fireplace logs stand triumphantly at the intersection of art, functionality, and sustainability. 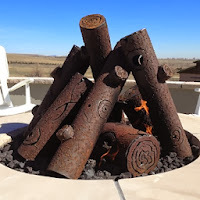 Making their debut in 2012, TimberCraft Metal Art created their log sets to meet a need in the high-end fire pit and fireplace market. Homeowners needed a hand crafted steel log set that was high-quality, yet affordable and easy to install - and these log sets were designed to deliver. Made from 100% reclaimed steel, each TimberCraft log set is hand crafted by metal artisans right here in the USA. As a result, each log set boasts a unique touch and an attention to detail uncommon in mass produced products. Constructed from either 1/8” or 1/4” steel, these durable log sets will last at least three times longer than ceramic logs. Designed with age in mind, natural rust and aging cause a deep brown color to develop over the logs, creating a more natural wooden look over time. On top of aesthetics and design, TimberCraft log sets boast functionality and ease of installation. 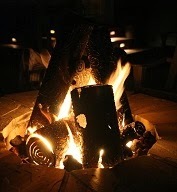 The nature of a steel log set means it will absorb and radiate heat more efficiently than ceramic logs. After 10-20 minutes heating up, these logs will stay warm long after the fire is turned off, radiating heat for you, your family, and your friends to enjoy. And their ease of installation means you can set up your log set in 15 minutes or less, with no fork lifts or heavy equipment involved! So, if you’re looking to spruce up your backyard with a new gas fire pit or searching for a new log set for your existing fire pit, check out TimberCraft log sets and enjoy their beauty and functionality for years to come!